No longer mess with plugs, cable, dirt affecting contacts, lids to be removed, just place it on the base unit and run the software. 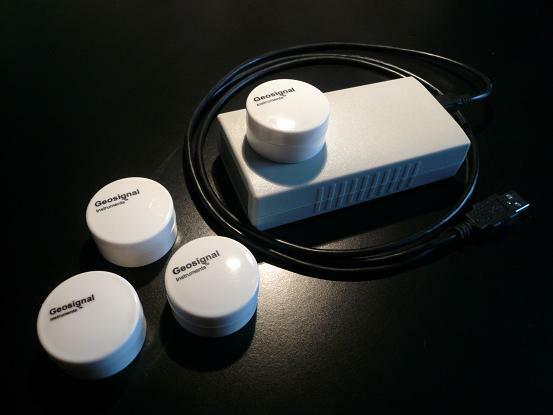 This temperature logger can even be washed with disinfectant. It is equipped with ultra low power contactless download so the battery does not need to be frequently replaced as it happens with other wireless devices. New technology at competitive price. The datalogger TW102 has been designed for monitoring temperature where energy consumption and battery life is critical as its internal battery is virtually not used during download and programming. Cost time sensitive monitoring applications requiring fast download of multiple units. Monitoring of the temperature of goods in transit (refrigerated containers or temperature controlled transport). Monitoring temperature of foods in order to avoid contamination. This datalogger can be employed outdoor and indoor and can implements special custom features. High resolution applications as it stores temperature readings in 12 bit format. Really waterproof applications no need to plug connectors or to open the case to download data. No metallic parts exposed, it works in salty corrosive environments. Sampling interval: programmable from 5 seconds to days by second increments. Internal date and time clock. Power supply: Easily replaceable 3V lithium battery for 3 month operation. Programmable (if special monitoring is required) Please enquire. Datalogger retains stored data when its battery is removed/replaced.